This week sees the return of my usual PMQs post, having missed last weeks because I was in London at a YBF event. PMQs today was a very interesting knock around with even some good contributions from Nick Clegg for a change. Cameron certainly gave Brown a good kicking and apart from one instance of an unfortunate choice of words totally dominated, nay wiped the floor with Brown. Brown responded by saying that unemployment was higher in France and Germany as well as the EU in general. 1. The EU’s figures are dominated by France and Germany, 2. These countries traditionally have higher unemployment even in good times, and 3. Our unemployment is rising at a faster rate than anywhere in the developed world (apart from Iceland). Cameron said Brown “is just incapable of admitting he got anything wrong” capitalising on his apology speech he made in Birmingham on Friday. Cameron then used the same tactic that Hague used so effectively a fortnight ago. He listed all the Brown initiatives that have been delayed, and those which are gimmicks, that have helped practically no one so far, such as: homeowners’ support group, asset-backed security system etc. Brown of course totally failed to answer Cameron’s claims, accusing the conservatives of been callus, talking Britain down, doing nothing etc. Cameron responded with “We’ve just had the view from the bunker” and that view is that all government schemes have been implemented and are working properly. In reality little is working. This is an incompetent government that couldn’t stop Sir Fred Goodwin, the man Labour knighted for services to banking, from getting his bumper pension. Cameron’s final question was rudely interrupted by Dennis Skinner, I did not catch what he said but Cameron’s response was first rate. He said “I know he wanted miners in the government. Well he’s now got Lord Myners.” Skinner, for once, didn’t have a come back, and just sat there in shame. Next up to face the PM was Nick Clegg who tried to force Brown to accept that his Government’s frenzied targets were part of the reason for the tragic spate of deaths at the Staffordshire hospital. Clegg pointed out that doctors had said to him that they were obliged to abandon the very sick to tend patients with relatively minor ailments just to tick boxes and meet targets. Brown apologised for the deaths and promises a review to find out what happened. Just before PMQ’s yesterday Sir James Crosby, the former HBOS chief resigned as the deputy chairman of the FSA because of an incident that happened when he worked for HBOS. Crosby resigned his post (or he was pushed) due to allegations that he allegedly sacked a whistle-blower, who warned him that HBOS was “moving too fast” and taking “blatant risks”. The Labour whips planted a question about Crosby using Khalid Mahmood to try to limit the damage. It was far too obvious an opportunity for Cameron to miss “they can even plant questions at short notice,” he said, que huge laughs from his backbenches and groans from the Labour’s side of the chamber. Brown who looked very tiered this week, his face grey, and his hair a mess tried to bat it away but did not quite succeed. Cameron went again with the Crosby question trying to create some more sound bites for the evening News. He asked if Crosby was still advising Brown? No, it seems. 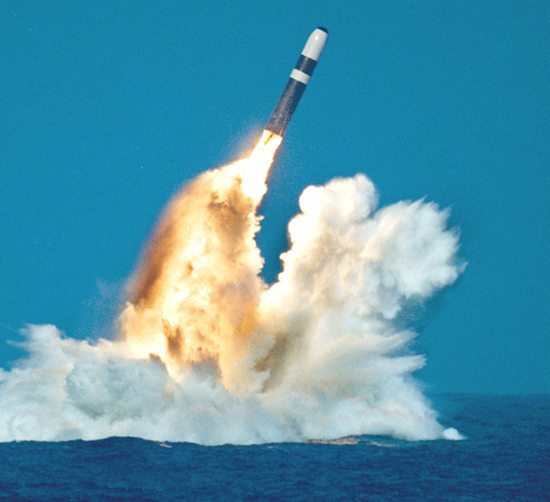 “Why can’t the Prime Minister just admit for once that he made an error of judgement? No apology about boom and bust. Even the bankers have apologised, why can’t he?” And will Brown admit that appointing Crosby was a mistake? Of course he wouldn’t apologise for anything, but its great seeing Brown squirm and rage as he continues on his path of self destruction. This seems to Cameron’s main tactic at the moment get Brown worked up, by trying to get him to admit his mistakes or apologise, Brown then looses it and makes mistakes – bingo he looks a fool! He then went with the, we were right, you were wrong attack. The Conservatives, made good judgments like supporting a national loan guarantee scheme (subsequently adopted by the government) and opposing the VAT cut (seen around the world as a huge waste of money). Brown’s judgements were bad. “Who gave us the largest deficit in the developed world? He did. In jumped the Speaker “unparliamentarily language” he cried, but as is the case these days Cameron just ignored him and kept referring to the PM as he. Who made Britain the highest personal indebted country in the world? He did. Who set up the regulatory system that has so failed? He did.” The back benches all joined in with chants of “he did” which rolled across the chamber like a tidal wave, sweeping all before it. Judging by Cameron’s face he had been waiting all week to deliver his next line, quoting Ed Balls now infamous “worst downturn in 100 years” line he asked Brown if he agreed with his closest ally. Brown looked sick, it was a good job Balls was no where near. When Cameron quoted Sarkozy saying Brown was “ruining” the British economy Brown was ready for him. Saying the “shadow, shadow Chancellor (Ken Clarke) was for the VAT cut.” Cameron said that Brown never gets his facts right, then came out with the quote of the day. “Last week he said he was like Titian aged 90. The fact is that Titian died aged 86.” The fact is no one really knows how old Titian was when he died, wikipedia agreed with Brown and was promptly changed by someone at CCHQ. Nick Clegg’s turn was next. Up he stepped looking like he had just rolled out of bed. Alan Duncan (with his usual well coiffured hair) could clearly be heard denouncing the Clegg mop. Looking grey, worried and tiered he seemed to have aged about 20 years (it’s all the rage at the moment it seems to look like your carrying the weight of the world around with you). His questions were long and tedious, too unfocused. Bank bonuses, loan shortages, unemployment all got a mention, none made a hit. Clegg’s synthetic outrage fell flat once again, He needs a new approach, anger does not work for him he looks like a puppy that’s just had his favorite chew toy taken off him. This weeks PMQ’s saw a storming performance from Cameron but Brown did not lie down and take it he stood firm facing into the oncoming storm. I nearly did not bother to write about PMQs today not because it was boring (it was not that exciting but boring it was not) but because this was the proverbial “the one that got away” sort of PMQs. 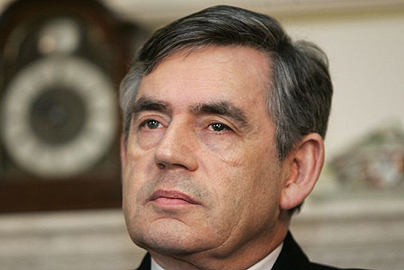 How on Earth Gordon Brown got out of it looking like he had done a half decent job I will never know. It must be admitted however that as things go Brown did rather well. As I have said before Brown’s recent performances have been so dire, that expectations were justifiably low, and it is within this context that his performance must be judged. If things had gone according to scrip Brown should have been on the ropes of the proverbial boxing ring and a well aimed punch from his opponent could have delivered a knock out. Instead of getting straight to the point David Cameron tried to bring Brown onto the punch by opening with questions on world trade and protectionism, themes which Brown regards as his specialist subjects. This gave the PM a boost as it put him on the front foot, allowing him to argue from a position of strength on ground he could not have chosen better himself. You could sense the nerves on the Conservative backbenches when the Brown got onto sartorial agreements and safeguard clauses. Mr Cameron then showed his hand with the line “if protectionism is so bad why did he say British jobs for British workers?” Brown’s response was an attempt to paint the opposition as anti British, by asking if the Tories did not want British workers to have jobs in Britain. UNBELEIVABLE! 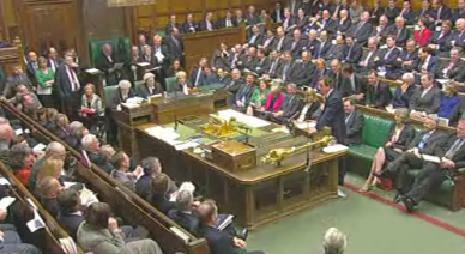 Cameron tried various lines – “taking people for fools,” “error of judgement,” “apologise,” “opportunistic” (as you would expect, that one had the Labour backbenches in stitches). Feeling rather good about himself, Brown became more relaxed, big mistake. It was all going well until he said “we should agree as a world on a monetary and fiscal stimulus that will take the world out of depression.” So were not in a global recession, were in a global depression, does the PM know something we don’t? Nick Clegg went with questions on the subjects of tax evasion and the fiscal arrangements that allow multinationals to avoid paying UK tax (obviously a big Guardian reader). Brown answered with a smile, teased Clegg over “a chief donor to Lib Dems who was a tax evader and to whom they had never returned the money!” Get your house in order Clegg before you go on moral crusades. I would score this PMQs as a slight victory for Brown seen as how he left the session smiling, when he should have been carried out. If it had not been for one of his embarrassing gaffs he would have done much better. When will Gordon Brown learn! It’s not questions to the leader of the opposition it’s QUESTIONS TO THE PM! 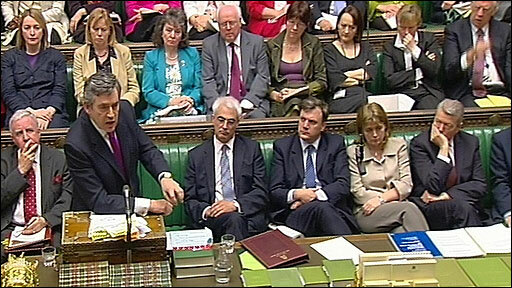 If for no other reason we need to get rid of Brown to make PMQ’s worth watching again. I am not saying that it should not be watched, just that I no longer want to throw an enormous Brown stile tantrum (kicking the table, smashing the phone) every time that man opens his mouth. It is getting beyond a joke, if we had at least a semi-impartial Speaker this sort of thing would not be allowed to continue. Yet again Brown failed to answer any of Cameron’s questions, yet again he read a quote from Ken Clarke and yet again he labelled us a “do nothing party.” It must be hard for him to continually wheel out that line now that he had to steal HIS latest economic initiatives from the Conservatives. But on the day that figures show rising unemployment touching 2 million, what did the great leader do? You would have thought he would have shown great empathy and compassion for the poor citizens who have lost their jobs due to his incompetence. What he chose to do however was to laugh when Cameron mentioned rising unemployment statistics. To cap it all off he was his usual commissar self issuing tractor factory stats about the “light at the end of the tunnel” or the “green shoots of recovery” to quote his ministers. In answer to one of Cameron’s economic questions Gordon just went completely off into left field attacking Cameron using a jibe about Ken Clarke’s view on Europe! What the hell is that to do with the state of the economy! It’s no wonder that the latest opinion poll shows a 14% Tory lead. Nick Clegg did reasonably well, but his questions were as usual drowned out but the lemmings on Labours back benches. In conclusion this was a clear victory for Cameron, a strong performance from Clegg and a disaster from Brown.